Leader in environmental protection equipment for petrol stations. 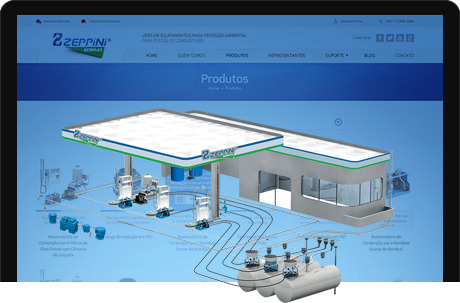 Zeppini Ecoflex is a Brazilian company, established in 1984, that is dedicated to the development, production and commercialization of equipment for petrol stations. The company has consolidated over the years as one of the major in the industry around the world, with presence in over 80 countries, and stands out for bring to consumers a full range of high quality equipment, suitable to many international standards and regulations. In addition to products, those interested can count on the technical support of a continuously trained and updated team, providing a wide range of technical possibilities for proper and efficient installation and use of the products offered by the company. 30 years of tradition offering reliable solutions for the Petrol Station industry. Wide network of specialized distributors, offers qualified customer support in many countries. Presence in over than 80 countries around the world. Qualified staff that is constantly updated to provide extensive support in sales, after-sales and customer assistance. The only company at the segment offering the same products in all markets it participates. Full range of products provided by one company, covered by guarantees from a single manufacturer.